Here's just a small sample of the endeavors underway through Orbeliani's platform. "A playground within the territory of First Step Georgia has been out of order for a quite long time and all the toys are unusable, it is even dangerous to use them, let alone playing with them. Consequently, Day care center (DCC) beneficiaries cannot use their playground at all. Together with several volunteers we have managed to restore one swing. 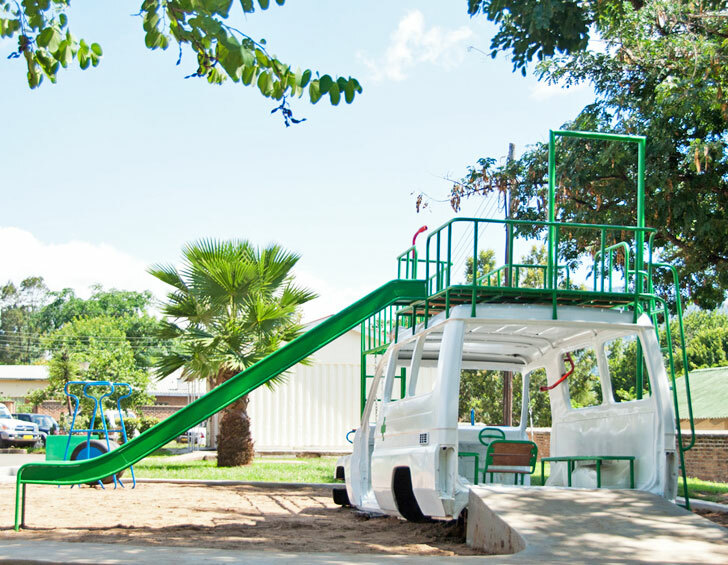 It requires large funds to replace old playground with a new, factory – built one and in addition, it should be noted that generally, playground equipment in Georgian market is not adjusted to the needs of persons with special needs. It is twice more expensive to buy adapted playground. What’s more, disfunctioning of our playground has a negative impact on DCC beneficiaries and development of their gross motor skills. Well - equipped and properly adjusted playground will significantly support the process of children’s development in diverse fields." "Every child is special, every child has an individual needs with strengths and weaknesses. With this in mind, a day care center administration of “First Step Georgia” together with 15 volunteers, decided to construct an adapted playground using second-hand objects used car, car tires, plastic bottles etc. “First Step Georgia” specialists (a psychologist, occupational therapist) keep assessing children’s needs and develop and design drafts of suitable toys together with volunteers. Under the guidance of DCC administration volunteers visit different places in Tbilisi (Eliava Market, auto market, etc.) and collect various suitable and necessary materials to make and create toys. In addition, they will restore various old toys existed on the playground, such as: slides, swings, see-saw, etc." "The library in Giorgeti has been functioning since the second half of 20th century. Village inhabitants say that it’s role in literary development of the society was huge. It is almost 20 years that the village library stopped it’s function and is not working:the furniture and materials are too old,the books have never been renewed. Most of the literature is in Russian, the shelves are too old that it is dangerous to walk between them, the floor is old as well. The village inhabitants don’t even know about the existence of the library and it is not popular because of the passive way of working." "To solve this problem, the youth of the village with the library director,have voluntarily worked on the rehabilitation plan of the library ,to create the creative and original interface ,to renew the books and remake this room as a room of literature where we will be able to host different writers and poets and organize poetry evenings and different events, to create reading club and make different presentations. This process will awake the enthusiasm and civil activity in youth and older society. Me,Nino Modebadze , Aleqsi Vaitadze, Ana Jokhadze, Sophio Lobzhanidze, Tekla Maisuradze, Tamuna Tephnadze and Laliko Gobejishvili will be in charge of organizing the event. Amiran Modebadze will voluntarily be in charge of repairing the room." 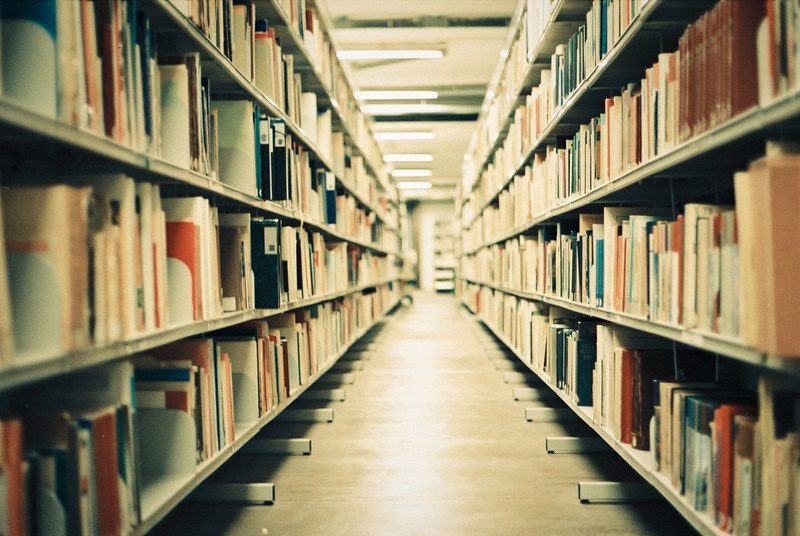 "It will not be a standard model of the library where the readers are taking and bringing the books back, as this process has not been going properly. The only reason of it is the poverty of the library. To buy the materials for the cosmetic repair, we will start the process, we will collect the books from different publishers and charity. We will invite Giorgi Kekelidze, director of the Georgian national library on the opening day at our presentation ,I know him and we have already talked about it. He will give us 300 books which will enrich our library. The plan of the rest of activities has been done by the coordinating group and we hope this process will play a big role in the civil development of the villagers." Image by MissMessie on Flickr, CC by 2.0. "There are no professional courses in the village Jokolo in Pankisi Gorge for women and girls as there are early marriages as well as socially disadvantaged families in Pankisi who do not have the means to send their young people to study in Tbilisi or other cities. So, I am a professional tailor also employed by KRDF in the Duisi Community Center where I teach sewing, but married girls can’t afford themselves to go to the center to study the profession. That’s why the people demand me to open these sewing courses at my own house where during 1 year 12 girls will be trained in this profession. After this, the girls will have the opportunity to be employed in the open studios in the village because there are no professional tailors in Pankisi." "For the solution of the problem it is needed to arrange one room in the house equipped with the necessary inventory for the training. I own 2 old sewing machines so I need to get in the Beijing No.2 shop (Victoria’s Style) – 1 sewing machine “STAEA-30” which costs 650 Gel and also overlock machine #42-34 of which the price is 1096 Gel. Also the room will be equipped with the table for cutting and with tissues. During the study in the project period the girls will work for orders and gratuitously serve for the population."